The main engines fired at 9:30 p.m. EDT Thursday (0130 GMT Friday) as clamps held the Falcon 9 rocket firmly on the ground at Cape Canaveral’s Complex 40 launch pad. 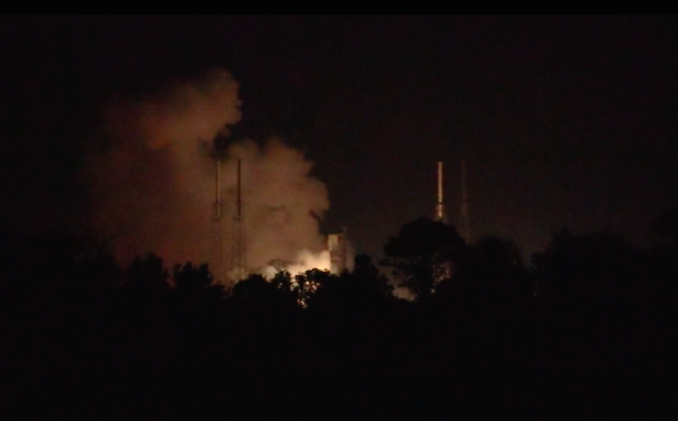 SpaceX confirmed a satisfactory static fire test, a customary step in all of the company’s launch campaigns, in a tweet published a few minutes later. Thursday night’s hold-down firing clears the way for ground crews to lower the rocket from its launch mount and roll it back to a nearby hangar, where workers will connect it to the SES 12 communications satellite set to ride it toward a perch more than 22,000 miles (nearly 36,000 kilometers) over the equator. 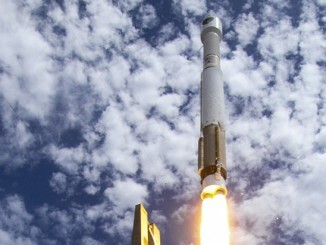 The SES 12 satellite, nestled inside the Falcon 9 rocket’s payload fairing, will be mated to the launcher’s upper stage. The rocket will be returned to pad 40 next week ahead of a 58-minute launch window opening at 12:29 a.m. EDT (0429 GMT) next Thursday, May 31. The middle-of-the-night launch will mark SpaceX’s 11th mission of the year, and the 13th time the company has flown a reused first stage booster since Falcon 9 flights with recycled rockets began in March 2017. The first stage assigned to SES 12’s launch first flew last September with the U.S. Air Force’s robotic X-37B spaceplane, which remains in orbit on a top secret mission. 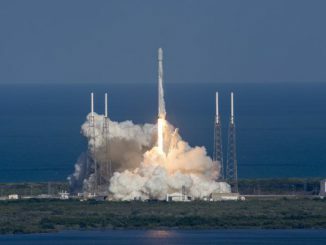 The booster is based on a discontinued version of the Falcon 9 rocket, known as the Block 4, and SpaceX is not expected to attempt to recover the vehicle. Driven by plasma thrusters instead of conventional rocket engines, the SES 12 satellite was manufactured by Airbus Defense and Space and assembled in Toulouse, France, before its shipment to Cape Canaveral last month. 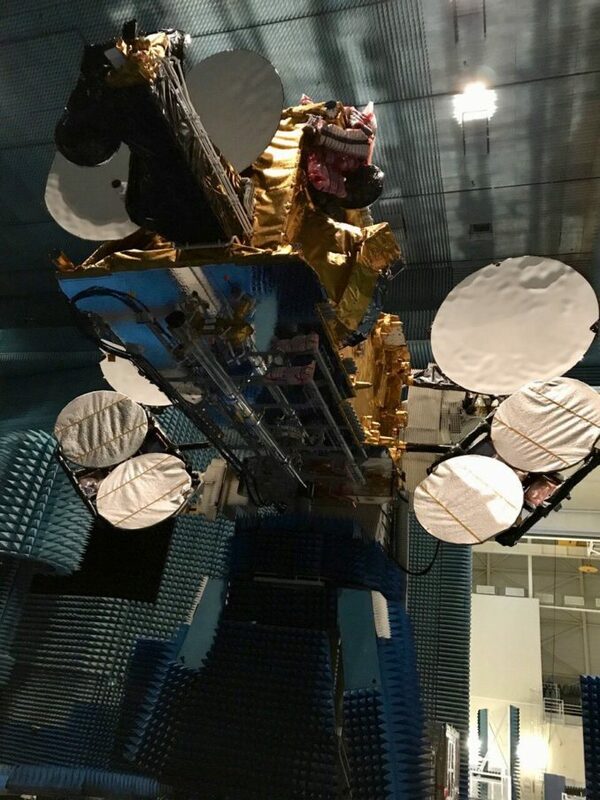 SES 12 will be one of the largest satellites in a fleet of more than 50 spacecraft owned by SES, a Luxembourg-based company which is one of the world’s biggest commercial satellite operators. 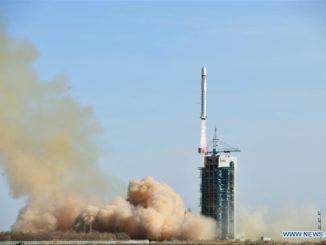 Once in position in geostationary orbit at 95 degrees east longitude, SES 12 will provide HD and Ultra HD television broadcast services, data relay capacity, and broadband and cellular connectivity across more than 20 countries in the Asia-Pacific region. The spacecraft weighs nearly 12,000 pounds — about 5,400 kilograms — with its load of xenon propellant, significantly lighter than a satellite of comparable capability with conventional hydrazine fuel.